As a side project, we still have our plot at the community Y garden. After much neglect, I finally got over to it to complete the Wampanoag – or Three Sisters – garden. It got weeded, mulched with leaf litter, and the two remaining “sisters” got planted. 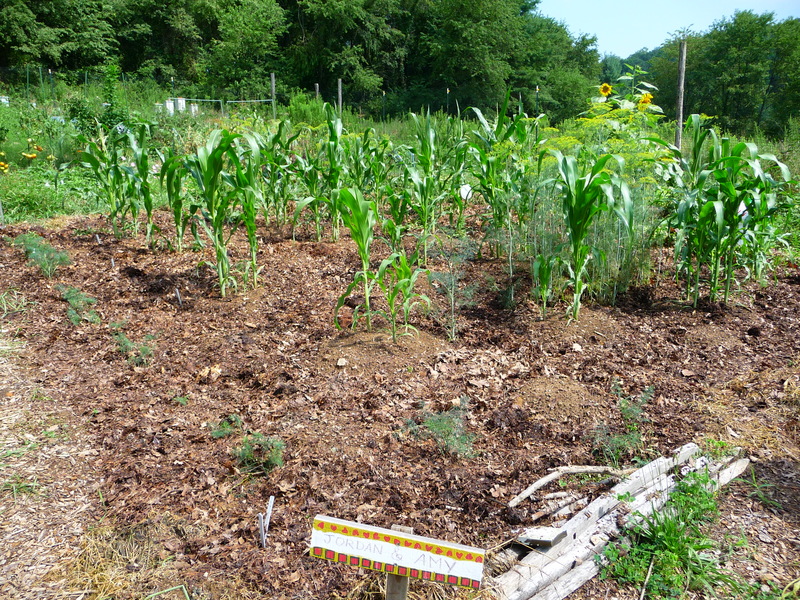 So, this garden has circles of heirloom corn varieties with scarlet or cranberry runner beans planted on the outer circle rim with squashes (really heirloom cucumbers, gourds, and a few squashes) planted between the circle mounds. Dill is growing along the one border (and some is wild from the previous year), Zinnias and Sunflowers are on another border, chard is on the third border outlining the whole plot. I hope to check it again next week to see how it is going.